“The best investment you’ll ever make is in yourself. Never stop exploring, learning, experiencing, and becoming a better person every day”. – Mo Seetubtim, Founder, Writer and Designer of The Happiness Planner. One thing that really boosts my happiness is the simple joy of receiving a package in the post. It’s the element of surprise on two levels – you didn’t know it was coming and what might be inside? I’m not talking about an Amazon delivery here. You know what’s in that package. I’m talking about the old fashioned; I’ve bought my dear friend/relative a gift, and now I’m going to post it to them, because I live far away and don’t know when I’ll next see them. – It’s wonderful. Then each day, you fill in a few simple boxes: “Today I’m excited about/Main Focus/What I hope for tomorrow..”. At the end of each week there is a “weekly reflection”, which I find helps brings back my focus to what I wanted to achieve at the start. It takes only a few minutes each night and reminds me why I started this project back in January. – It was an investment in me. JANUARY: Save money in any way possible, earlier wake ups, control temper, enjoy my food: Well I’m definitely saving money; I no longer buy things I don’t need, like primer for foundation or even new nail polishes. I wake up earlier and don’t lose my temper as often with Maia. As for enjoying my food, well I can safely say I have indeed been enjoying my food, each and every bite. FEBRUARY: A healthier lifestyle: I think things are definitely improving. I’m not where I want to be yet. I still can’t quite look at a cookie without wanting five. This is okay. I’m slowly accepting I might always be this way. I’ll just have to run each and every day like a mad woman to keep up with the sugar monster within. MARCH: Trying to meditate: Nope. I’m not even trying anymore. The closest thing I get to meditation is when I’m in bed reading and my eyes begin to close, though I’m pretty sure you’re supposed to be relaxed and alert when you’re meditating. I also consider the brief moment of yoga I do after a run to be a bit like meditation. It’s something. MAY: Make more time for reading: This one has sort of been overshadowed by June’s resolution to be more creative, but I did finish a few books in July and a play the other day. JUNE: Spend more time being creative: I’m quite proud recently I’ve spent a little time nearly everyday hand quilting and any time there’s a picture/page in a magazine I like, I’ve kept it for scrap-booking purposes (which I’ve been assured is not in fact sad or futile). JULY: Nagging Tasks Tackled: De-cluttering *check*, so 1 out of 8 so far. So what will August entail? Well I’ve got myself some work experience at a local newspaper. I’m a little terrified but I’m sure I can string a few readable sentences together in the required tone. It won’t be easy going from the chatty vibe of this blog to a much more serious, factual manner, but I’m sure I’ll cope. This is my first real glimpse into the world of journalism and I’m eager to see how it all works. *Serious work face*. Other than this, August will be all of the above. – More squeezing in moments to read and be creative, more allowing the time to be present with Maia, and of course all usual mummy duties. 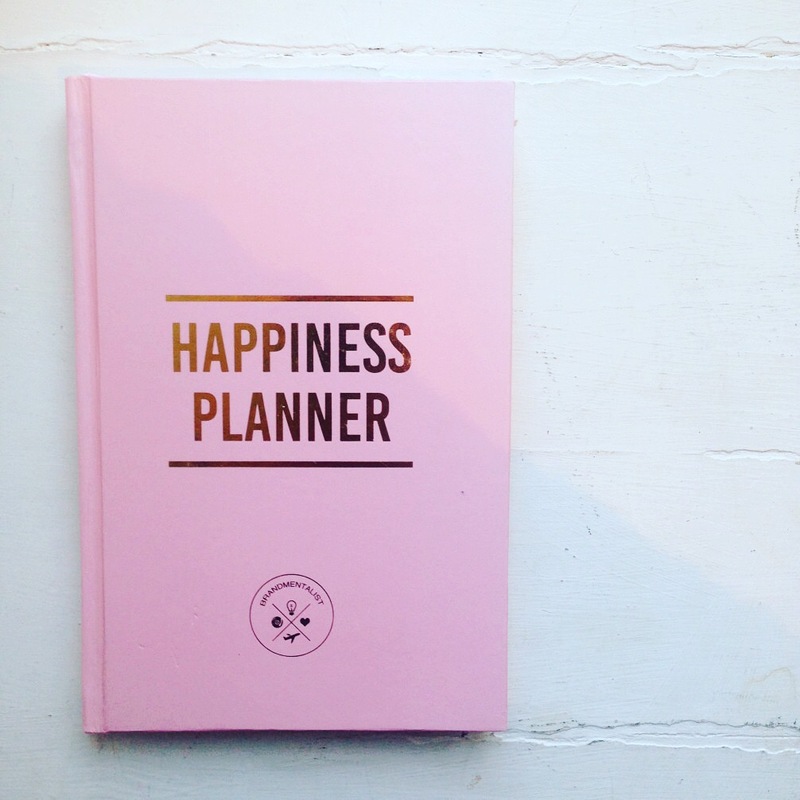 Lastly, thank you dear Etta for the wonderful Happiness Planner. You couldn’t have chosen a more suitable gift, and what a delightful way to have the sweet little package arrive at my front door. You’re the best. Posted in A COLOURFUL LIFE and tagged books, gretch, gretchen rubin, happiness, happiness planner, happiness project, happy, LIFE, lifestyle, motherhood, mummy, parenting. Bookmark the permalink.